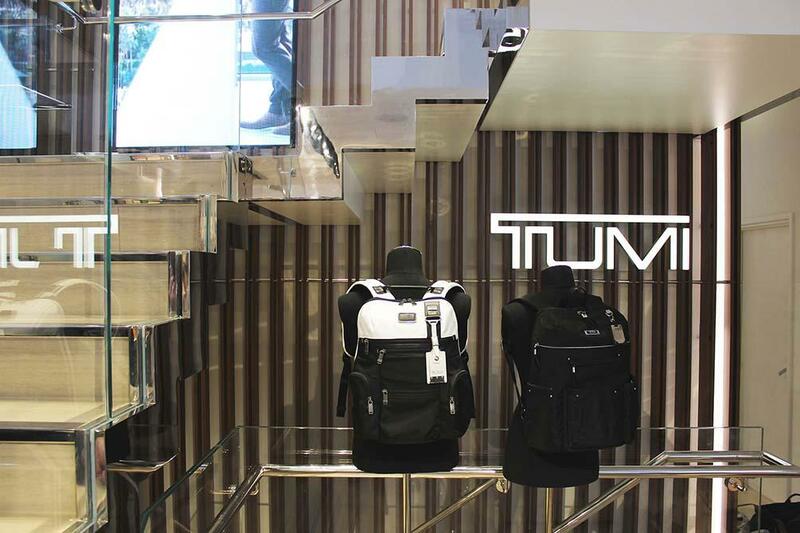 TUMI, the leading international premium luggage company recently opened its flagship London store, located on Regent Street. 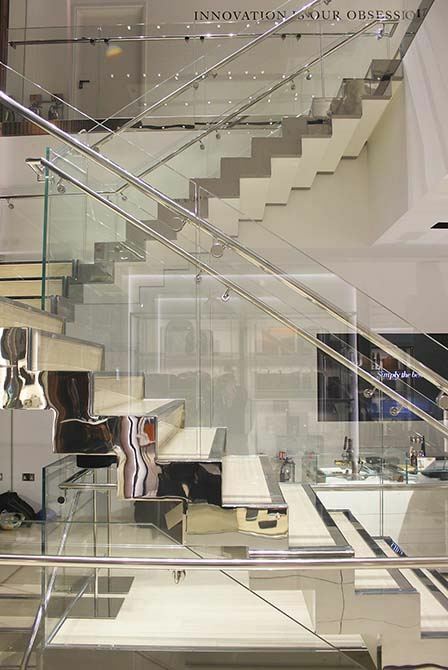 The 223m² space houses an elegant, bespoke stainless steel staircase, engineered, fabricated as well as installed by Canal architectural. In collaboration with the award winning designer Dror Benshetrit and architect’s Househam Henderson. 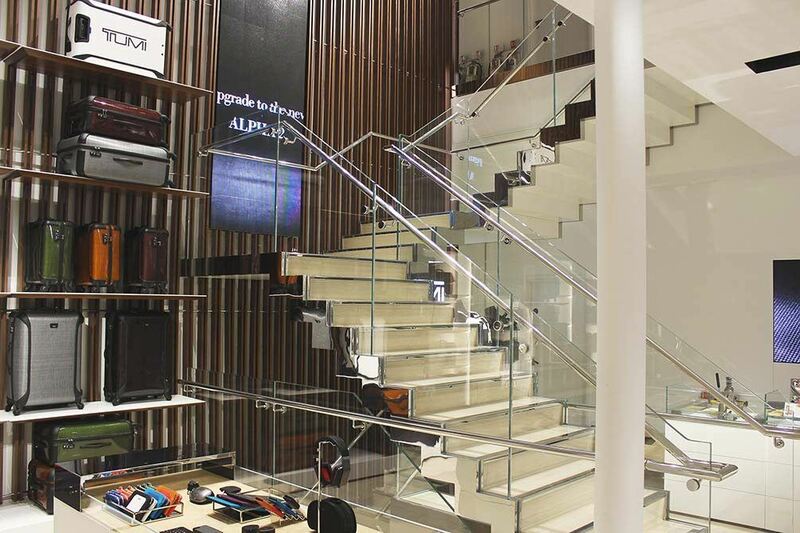 The concept was to construct a dramatic highly polished stainless steel and glass staircase. 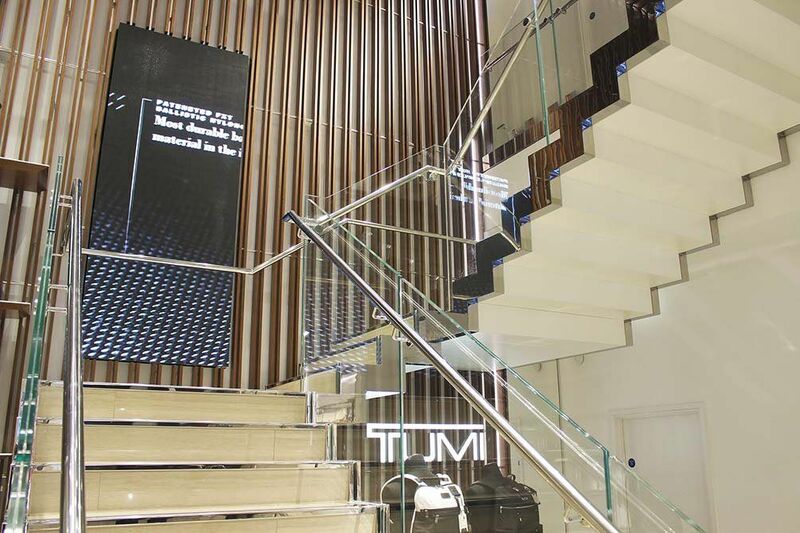 The store hosts the company’s first ever feature staircase and reflects TUMI’s signature polished, mirror-like theme. 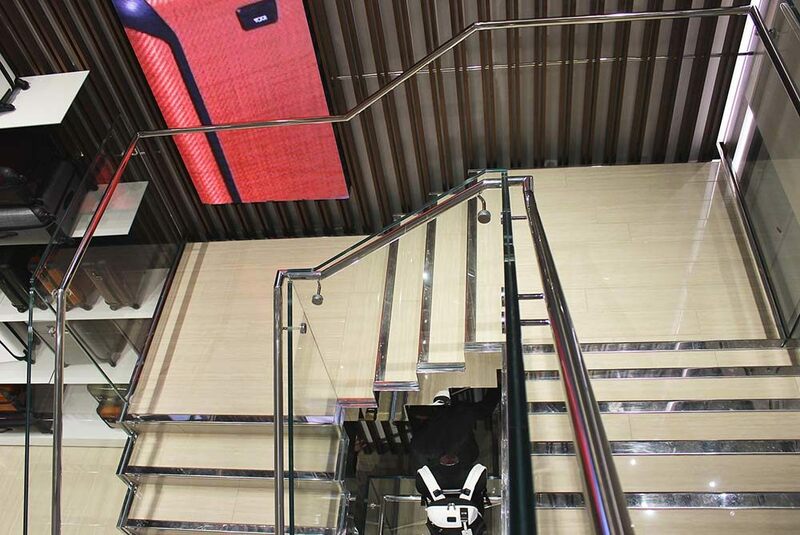 The elegant design of staircase appears to float in front of the rear wall creating a striking illusion. 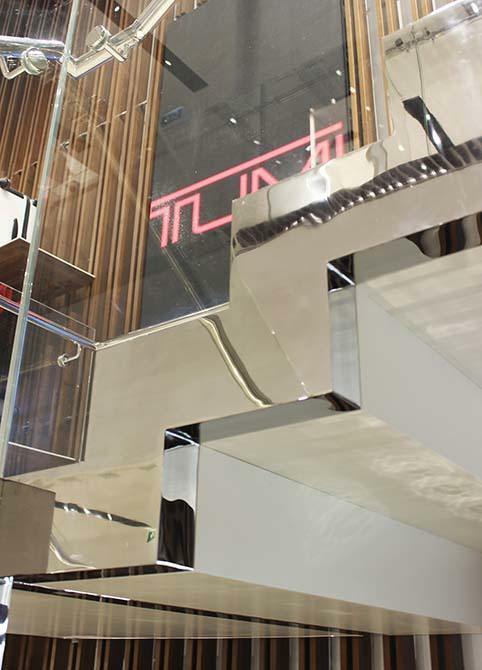 The fabrication began in Nottingham, creating a 20mm solid stainless steel staircase stringer. 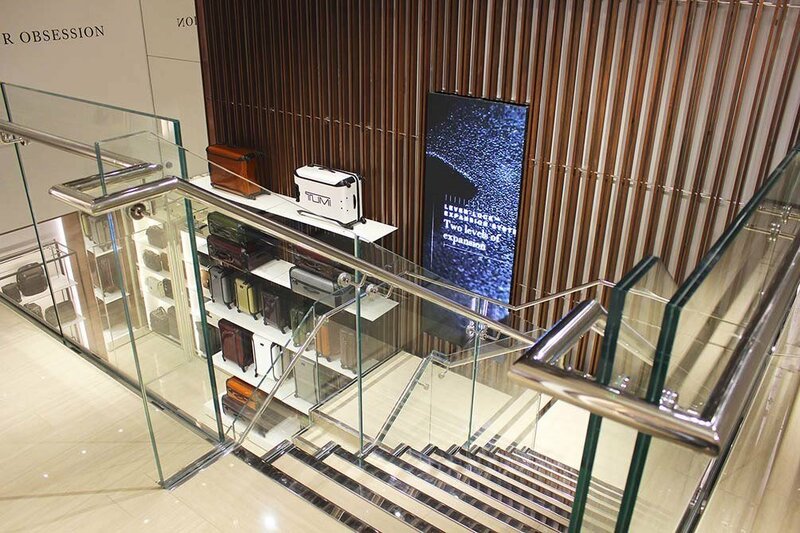 On site, the installation team installed 21.mm low iron high strength glass balustrade which also meets commercial building regulations. 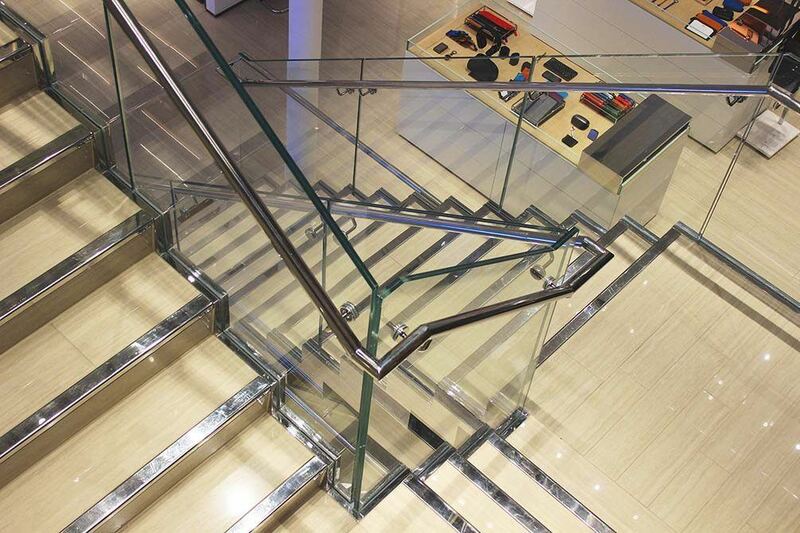 In addition featuring a polished 42mm stainless steel handrail which follows the line of the stair; continuing onto the floor above where the design of the balustrade continues, overlooking the floor below. 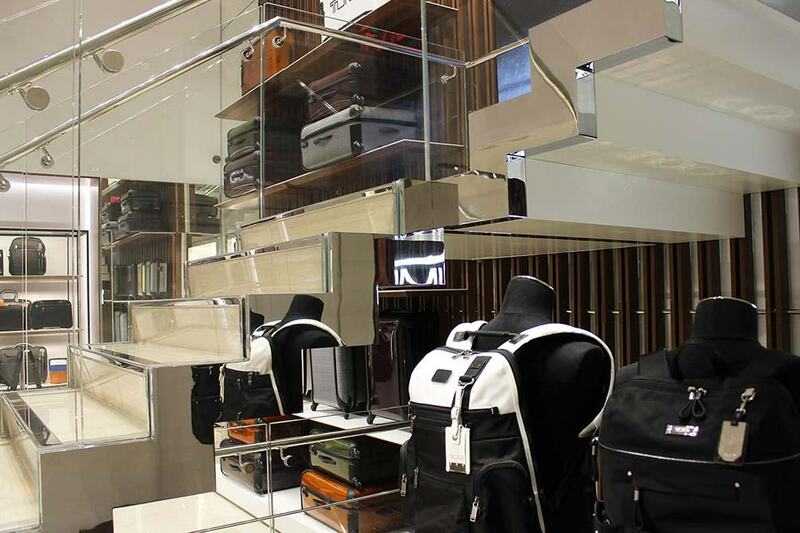 Canal equally gave the same level of attention to detail as with each piece of TUMI luggage. 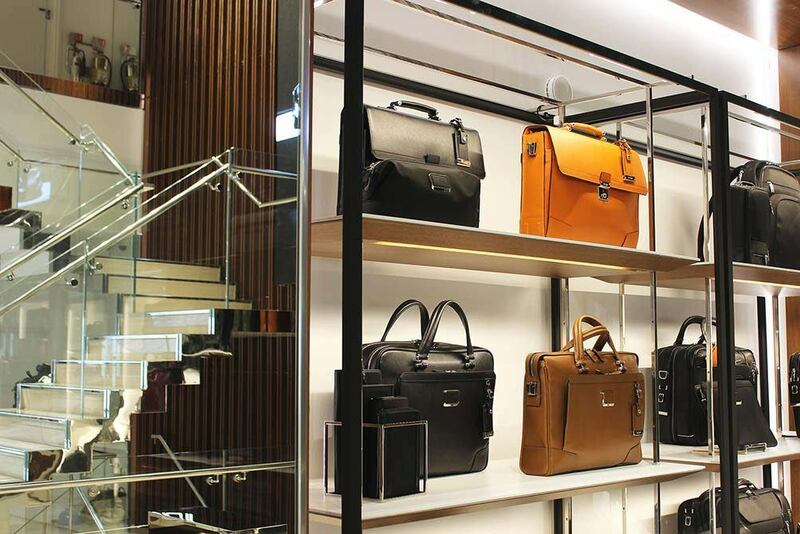 The extensive use of stainless steel through the nosing fixtures down to the glossy treads enhances the companies sophisticated branding. 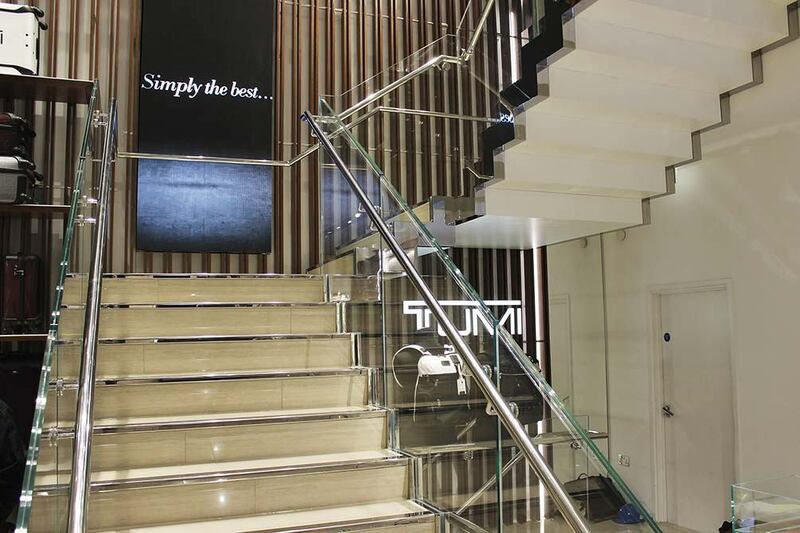 The success of the stainless steel staircase can firstly be credited to the stunning concept that was brought to Canal and secondly to the team of specialists here at Canal who worked closely with Milk Structures to complete the feature.